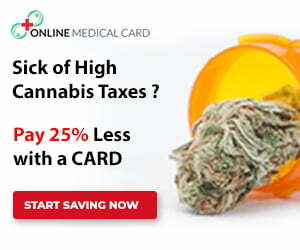 If you are into vaping cannabis extracts and looking for something clean, smooth and efficient, look no further! 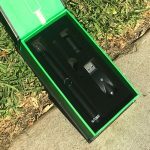 The Saber wax vape pen is perfect for all your cannabis extract vaping needs. 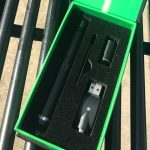 Both wax and shatter can be used in this discreet, easy to operate vape pen. Although Saber is not as well known as larger household vape brands like Puffco or KandyPens, the Saber wax pen works well and looks great at an affordable price. The Saber wax vape is made from stainless steel with an all black exterior that’s highly resistant to scratches. The tip of the vape pen is fitted with a nice, glass mouthpiece. By using parts attached with strong neodymium magnet, disassembly and cleaning is a breeze. Because the Saber vape uses magnetically attached parts, this also means no sticky threading to deal with! These magnets are quite durable as they are able to withstand a considerable amount of commotion without becoming detached. The Saber battery features a single push-button interface which makes operation a no-brainer. Included are two different atomizers/heating chambers that attach to the battery: a dual quartz rod coil head and a ceramic donut coil head. The Saber vape allows you to vape at three different temperature presets. The push-button lights up different colors to denote the temperature setting. Find the optimal temp setting for your preferred cannabis extract and enjoy clean, tasty vapors. 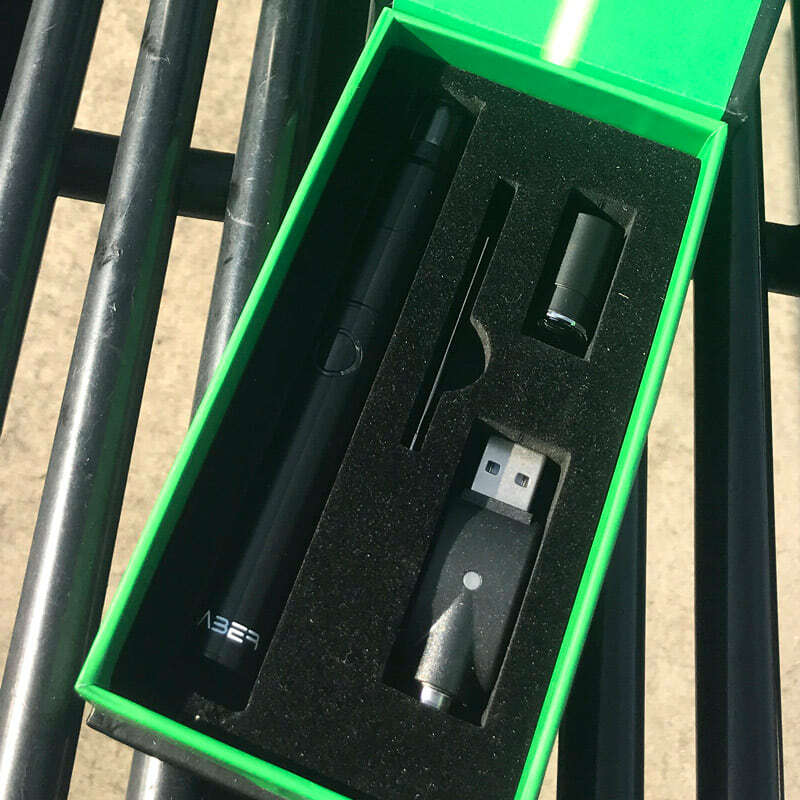 The Saber vape pen uses a simple, one push-button that controls every function. Pushing the button 5 times powers the battery on. Once the pen is on, pushing the button 3 times allows you to change the temperature. The Saber Vape produces some mighty hits. Start off light with a small amount of concentrate then work your way up, finding the optimal volt setting. We tried the Saber wax vape pen with a syringe of Pineapple Express wax concentrate from Magic Pipe. This vape pen did a great job transferring the cannabinoids from the Pineapple Express wax, inducing a very relaxed and euphoric experience. It was convenient to load the wax into the Saber vape for a quick vape sesh right before bed. 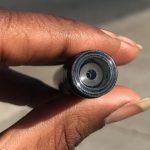 We love how easily all the pieces attach by magnets and the simplicity to use pen is remarkable – it’s just a matter of effortlessly pulling off the coil cap, filling the exposed atomizer with some wax (using the included dab tool or syringe), drop the coil cap back on and puff puff! 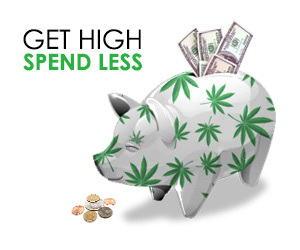 All in all, the Saber vaporizer pen is a great value. It’s simple operation, magnetic attachments and performance all come at a fair price. There’s many options on the market for similar style wax pens, but you’ll often pay a higher price tag for a more well known brand with comparable performance. 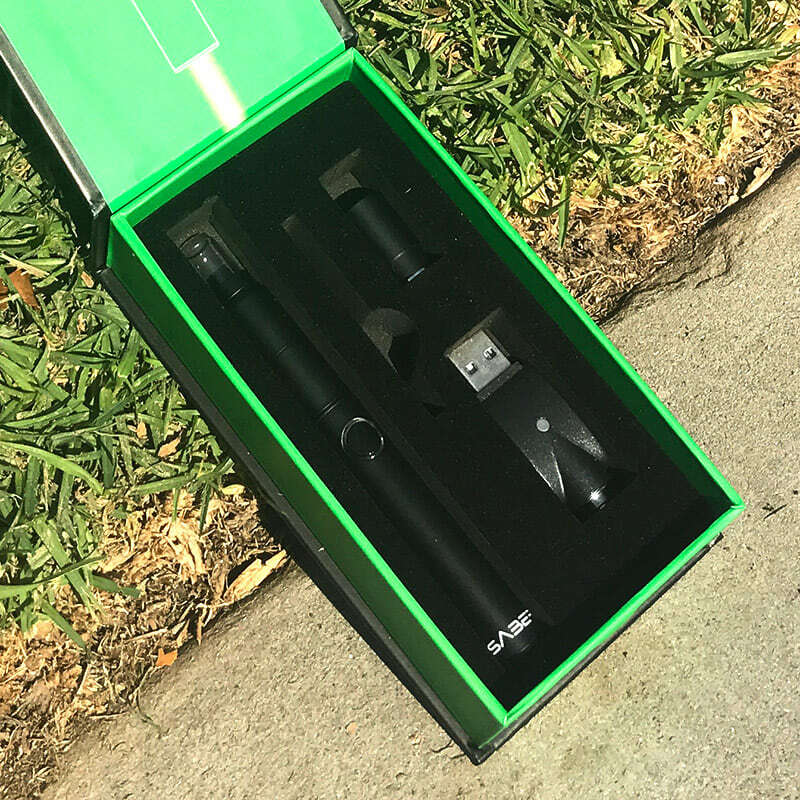 If you’re looking for a first time wax pen, you’ll be set with a Saber vape. 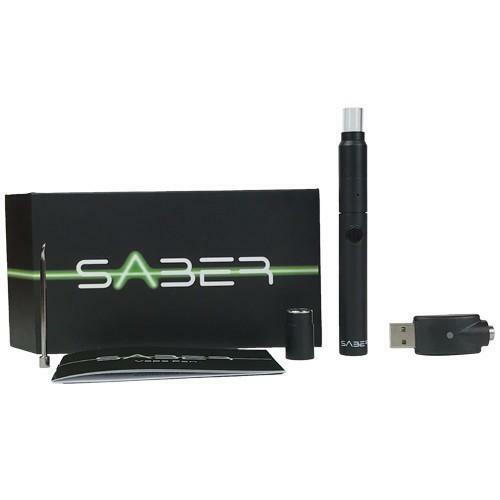 The Saber vape pen is available for just $59.99 (originally $80) through NY Vape Shop with FREE shipping. Use code “CannabisVapes” for 10% off your entire order. You may also be interested in similar wax pens including: Rokin Cyclone, Linx Hypnos Zero, and Zeus Thunder wax pens.